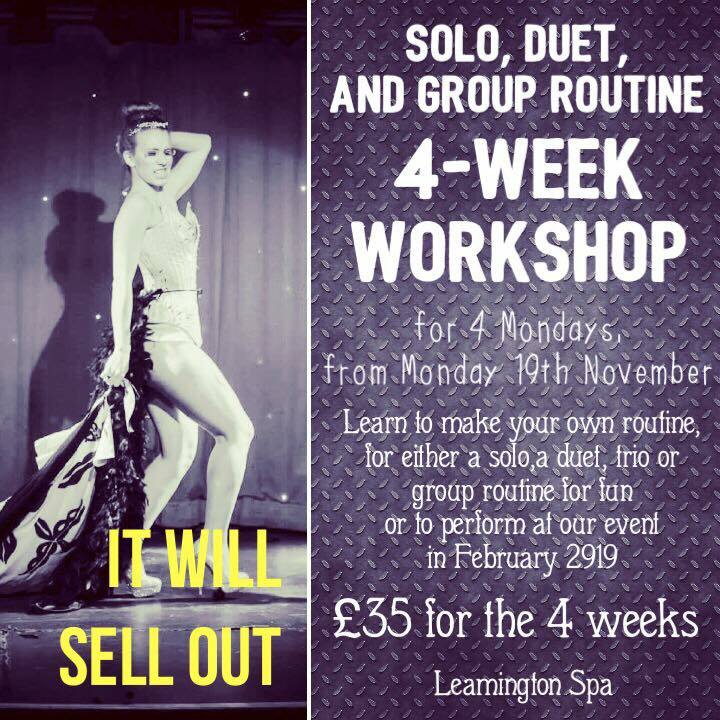 Check out our 2 new workshops, covering the end of the year and start of 2019. 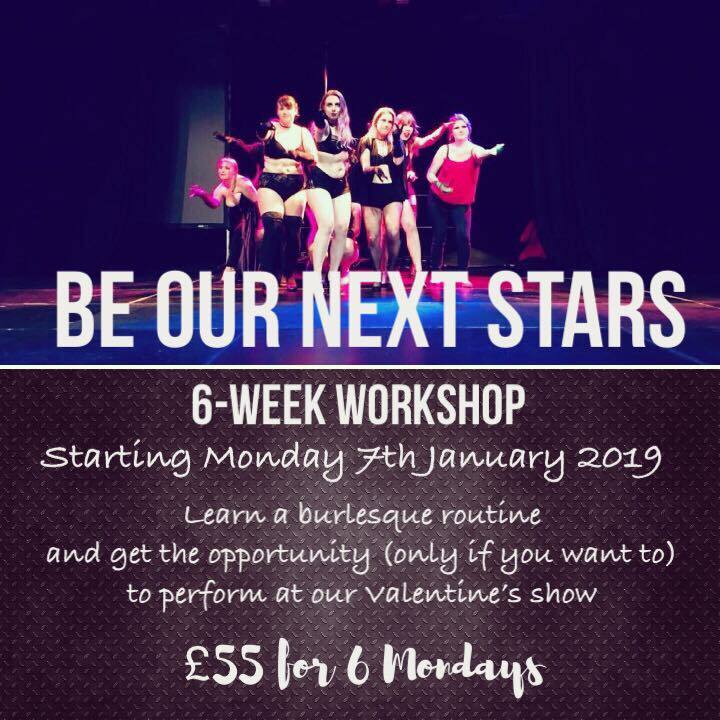 Workshop 2: Learn 1 or 2 group routines over 6 weeks for both beginners and advanced performers for our Valentine’s show in February. You are welcome to attend the classes without performing at the show of course. Treat yourself, or offer it for Xmas.